The Medical Industry is the largest segment that Boston Centerless serves. Our business is focused on the needs of both our OEM customers and the network of Contract Manufacturers that provide essential products and services to the medical OEMs. Boston Centerless is a key supplier to various sectors of the medical and orthopedic device industry. 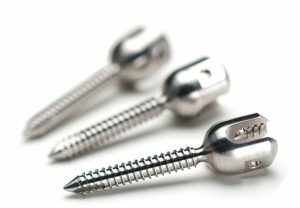 Over the years, a growing number of medical device OEMs have recognized the many benefits of the consistently excellent roundness, straightness and diameter tolerance of BC Medical Grade precision ground metal and plastic bars. With the rapidly increasing use of CNC Swiss turning machines to produce medical device components, greater precision is required from the raw materials specified for these parts. The growth of Boston Centerless has been driven by our ability to consistently meet or exceed these specifications resulting in trouble-free and ultimately lower cost manufacturing of the medical device.